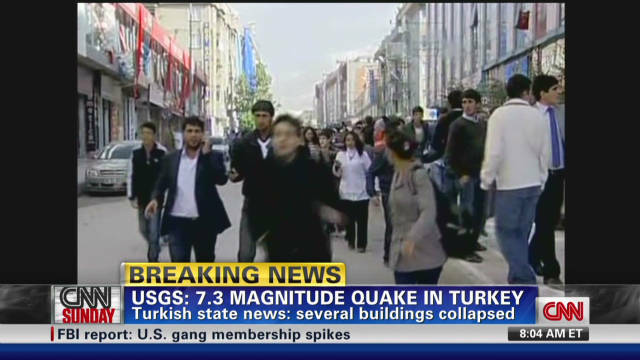 A 7.3 magnitude earthquake has ravaged Eastern Turkey. The initial quake was followed by seven aftershocks. As buildings have collapsed, rescue workers have begun to search through the rumble for survivors. The area hit is one of the poorest in the entire state. Many of the damaged buildings include about 25 apartment complexes as well as a dorm building for students in the area. A part of a local hospital also collapsed. An undisclosed number of injured civilians were taken out of the buildings to get treated. With the rumble on the roads, it was difficult for the ambulances and rescue workers to get to the people in need. Luckily, many civilians took part in the rescue effort and have been assisting the official rescue squads. The total number of casualties has not been determined and probably will not be for a few days. This is just another major natural disaster to strike a poor region in recent years.